The appointment of YouTube's first female CEO was great news Thursday, but new reports about GM's first female CEO, Marry Barra, have put a damper on the day. Fox Business's Elizabeth MacDonald reports that Barra makes 48 percent of what former CEO Dan Akerson made. According to calculations based on GM's Jan. 2014 filings with the Securities and Exchange Commission, Barra will probably make about $4.4 million in total compensation, with a base salary of $1.6 million. Compare this to Akerson's whopping $9.1 million total compensation, of which $1.7 million is the base salary. So apparently, for women, there's always a wage gap — even when you're a millionaire. Why would a female CEO — the only one to hold the post at GM the past decade who had actually had experience working at the company prior — be getting paid less than half of her former male counterpart? GM has released a statement in response to the uproar over the alleged wage gap, saying reactions are based on a skewed analysis. General Motors CEO Mary Barra will receive $1.6 million in salary and $2.8 million under the company’s short-term incentive plan, which totals $4.4 million. This represents two of her three compensation components. Specific long-term incentive compensation numbers will be included in the company’s April 2014 proxy filing, which likely will dispel any notion of pay inequity. 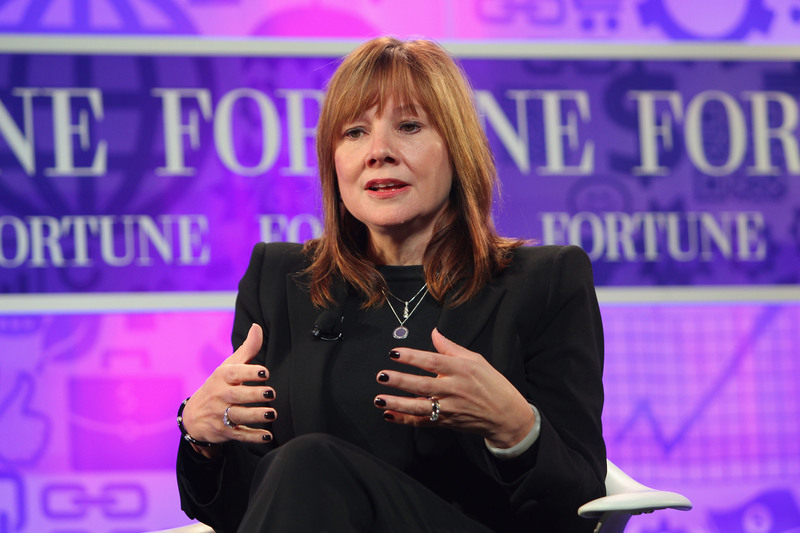 Stockholders at GM’s Annual Meeting must approve the long-term portion of her pay. Dan Akerson, who had prior CEO experience and was chairman of the board of directors, was paid $1.7 million in salary and $7.3 million in Salary Stock awards for a total of about $9 million in 2012, the last publicly available record of his compensation. Akerson’s compensation did not include a long-term incentive because, as is now clear, he was not going to be at GM for the long term. In fact, the downsizing of her position goes further than that -- in addition to having to answer to self-described 'activist chairman,' Tim Solso, Barra also shares responsibilities with former chief financial officer Tim Ammann, who has been given the newly resurrected position of president. Objectively, Barra’s job carries far less responsibility than Akerson’s. So is that justification for lower pay, or just more evidence that GM’s male-dominated executive corps has paternalistically elevated Barra as a token female figurehead? Niedermeyer points out that Barra barely has any finance experience, though he puts no blame on her. The problematic optics of the situation were not unforseeable. In announcing her promotion, Akerson said while GM might get some benefit from promoting a woman, 'that’s not why she was chosen. She was chosen for her qualifications.' But his sincerity is put in question by the decision to divide his job responsibilities rather than pass them all off to her.